Welcome to Chinatown! Thank you curator Jean Lukitsh, Iris Tan of ACDC, and all the volunteers who have been working on the sixth annual Films at the Gate. We are ready to go, and it’s always a pleasure to work with such great people to bring Chinese-language films to the community. Iris went the extra mile yesterday and got us a banner over Beach Street, which is the one of the best ways to reach folks in our neighborhood. Thanks you Iris! 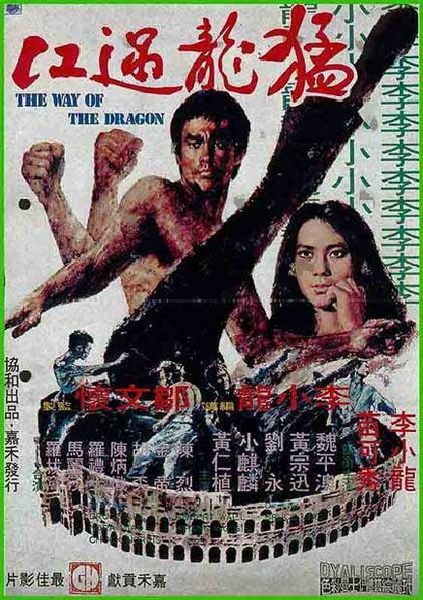 Thursday night we launch with WAY OF THE DRAGON 猛龍過江 (1972) starring Bruce Lee at 8PM, in Cantonese with English subtitles. Thursday’s film will be preceded by a brief demonstration by students of Zhou Xuan Yun starting at 7:30PM. Details on films and performance here. We rent 250 folding chairs, and we’re always grateful when people bring their own seating so that older folks and kids can find a seat. Jean has picked some outstanding films this year, and our team is excited to transform a vacant lot into a free, outdoor cinema. 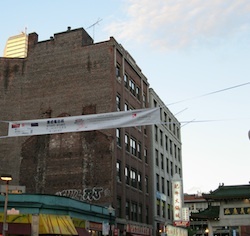 Come down, support local business and community-building in Boston’s Chinatown.